Our decorative laminates deliver superior quality at continuous- roll cost-efficiency. Now you can have it all. Precise, custom print designs up to 60” wide, with the high-yield, low-cost of a continuous roll laminate. Cover oversize composite panels with no seams, less waste, time and labor. Schneller can help create fully-integrated commercial aircraft interiors in which your passengers will feel safe and comfortable. Have flexibility to cover everything from composite panels to 3-dimensional aircraft interior parts. 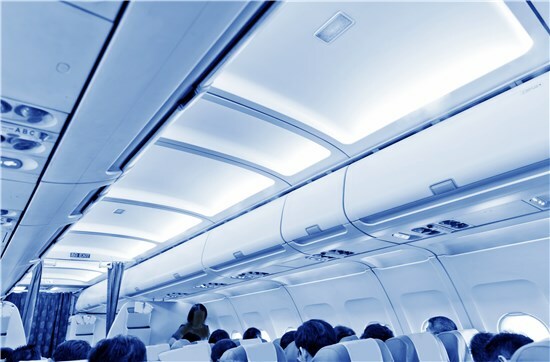 Schneller’s decorative laminates, specifically engineered for the aviation market, are designed for application over nearly any existing surface, from flat panels to 3-dimensional commercial aircraft interiors and parts. Decorative laminates are supplied in continuous rolls or sheets, and are available in a broad range of custom colors, prints and embossed textures with multiple adhesive options. AerFilm sofTouch® is a new decorative laminate designed to provide an exceptionally low gloss and luxuriously soft feel all while providing the performance and ease of use you expect from Schneller. Engineered for 3-dimensional parts, AerFilm sofTouch® is ideal for premium cabins and seats, and combines a comfortable passenger feel and durability with no compromise when it comes to FST compliance. 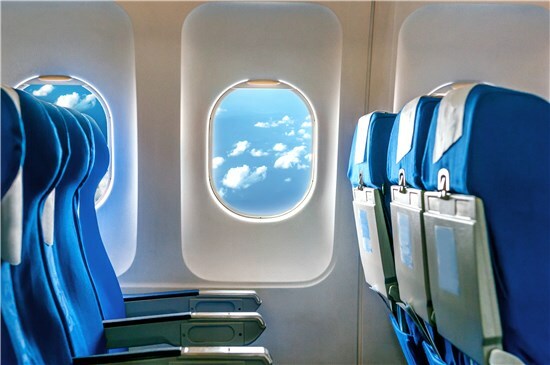 AerScreen™ is a tough, but flexible decorative laminate developed by Schneller for innovative retractable screens in aircraft galley housings, rail car applications, and special displays. AerScreen™ can cover up a utility area or display a brand image and yet allow soft back lighting to show through. Schneller provides a variety of AerShade® products to assure our customers a quality shade. Our shade enhances any interior décor. AerShade® is a durable, lightweight product which passes all FAA stringent standards. ; AerShade® comes in a numerous colors, textures and thicknesses - all designed to enhance the passenger experience. AerShade® helps protect your aircraft interior from damaging heat and sunlight. Our patented process prevents cracking and discoloration. AerGlas™ LHR I – V are multi-ply fiberglass products ideally suited to provide additional surface protection in areas of severe abuse. AerGlas™ LHR products are recommended for flat surfaces. AerTrim ®LHR is a medium-weight, integrally colored, fiberglass-reinforced laminate engineered for areas where weight is still important but increased abuse is expected. Applied to flat or single-contoured parts, AerTrim® LHR can easily be wrapped around a radius of .125 inch (3.2mm).